The side project that changed the direction of Pana. At Pana, we’re always looking for was to make the lives easier for the millions of people who travel around the globe. Our latest release includes some of our most requested features from our current users, as well as a new tier of our product that gives anyone a Pana experience, for free. 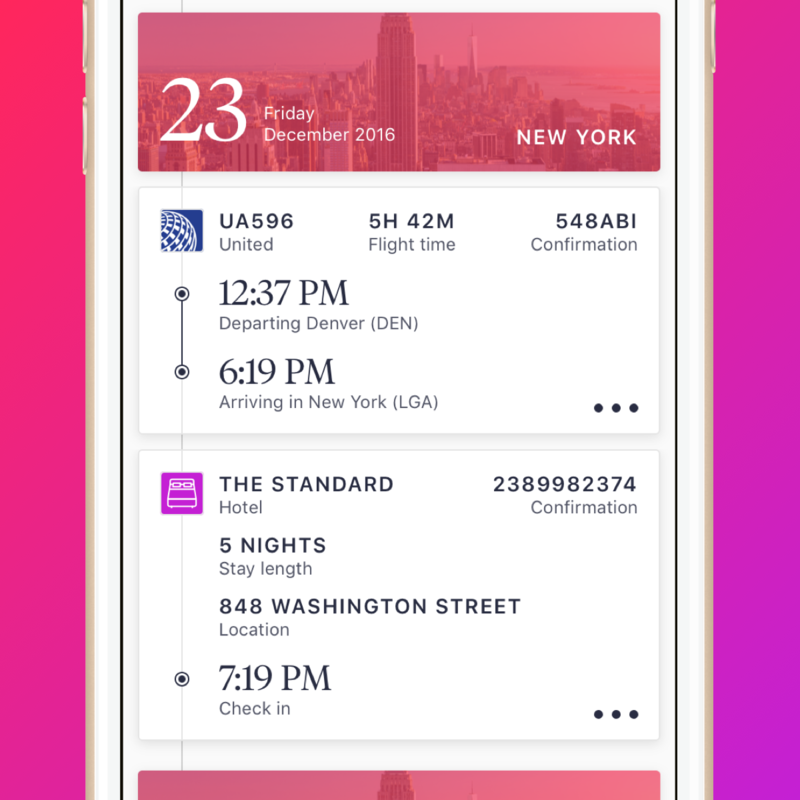 Pana Free started as a side project, but looking at the existing itinerary apps out there—many of which were designed nearly a decade ago!—we saw an opportunity to modernize the experience and up the ante on what a 21st century traveler should expect from a free travel app. Pana Free is the 3.0 version of our award winning travel application. Now any traveler, regardless of where they booked, can organize and share all of their travel information with Pana. For existing Pana members, these features will show up in their current app after updating. For new users, they will have the option to try these new features for free, or upgrade to Concierge, our human-powered personal assistant service, for $49/month or $499/year. 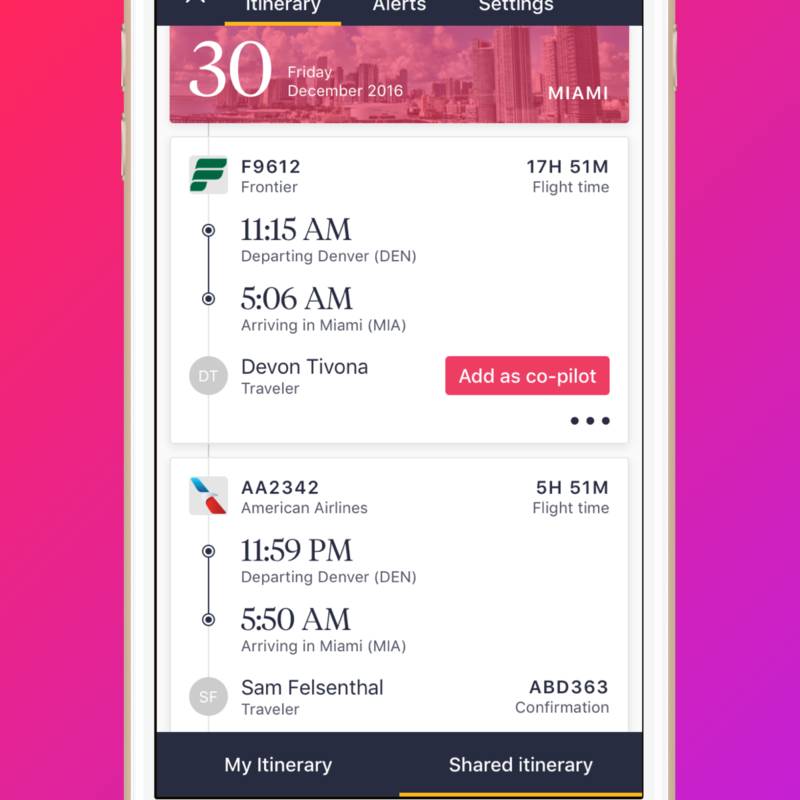 Automagically organize and share all of your travel plans. We’ll automatically look for travel and activity receipts in your email, such as flight and hotel confirmations, restaurant reservations, or an upcoming concert. The receipts are automagically organized and placed into a beautiful itinerary. Collaboratively build itineraries with friends, family and co-workers. From your itinerary, you’ll then be able to actively collaborate with your friends, family, and co-workers on your trip. Invite others to build the trip with you or simply view your schedule. 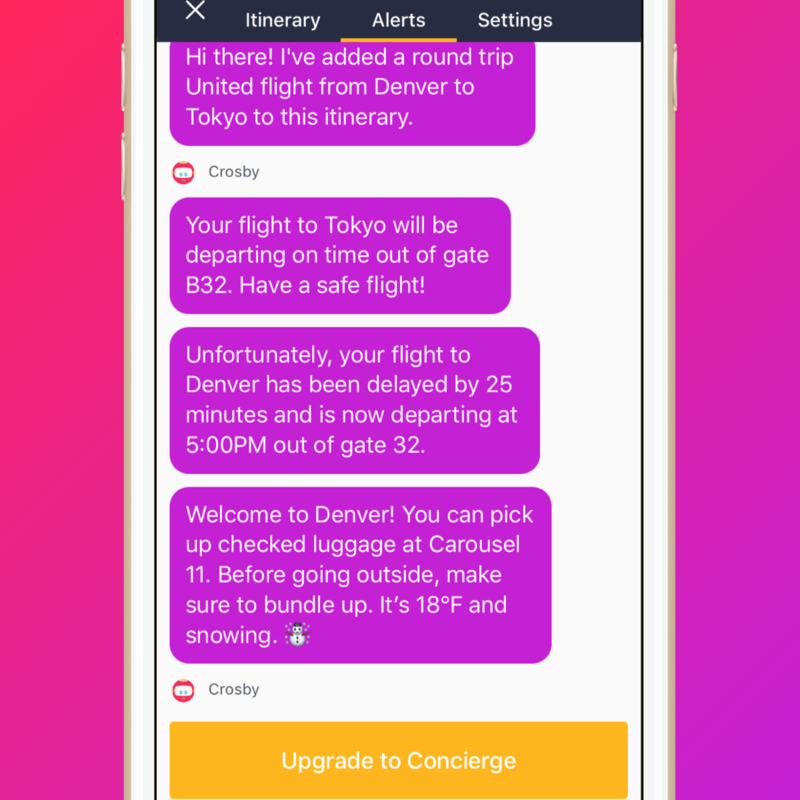 Receive free trip alerts on flight delays, gate changes, and more. We’ll also keep you and your connections updated with real-time notifications on everything from gate changes to the weather in your destination. This is our first public release of Pana Free, but we’ll be continuing to iterate on it and make it better. We already have a bunch of exciting updates in the works (including calendar sync, first-in-kind recommendations, and more), but we’re also super receptive to feedback. Feel free to reach out myself (paul@pana.com) or anyone on our team.